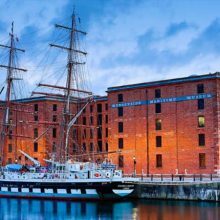 SPC, a British manufacturer of heating and cooling coils, fan convectors, trench heaters, radiant panels and heat pipes, have supplied a quick turnaround multi-section coil to Merseyside Maritime Museum in Albert Dock, Liverpool. The Museum required a specialist solution for a site with access issues and a corrosive marine environment. SPC were approached by the contractor as specialists in projects where replacement coils are required in air handling units and ductwork. SPC quickly conducted a site survey to ensure that the correct equipment was specified for the job and provided specialist support throughout the process to both the contractor and client. “The client was keen to get the cooling coil performing to their original specification prior to an event taking place at the museum. SPC visited site to ensure that the new multi-section coil could be manoeuvred into the plantroom, and would surpass the performance of the existing coil. We also had to consider the coastal location and manufacture a coil that would stand up to the corrosive marine environment. The coil was manufactured with a stainless steel case and all surfaces within the airway were treated with Blygold”. “Failing to protect a coil in a coastal location with a suitable anti-corrosion coating will significantly reduce the life expectancy and also prematurely reduce the performance of the heat exchanger”. The coils were delivered and installed in plenty of time for the event and the museum now has a ventilation system which provides the perfect internal comfort conditions during peak summer loads. For a coil site survey and specialist support contact andy.kirk@spc-hvac.co.uk or 07831 788068.